Good news everyone! 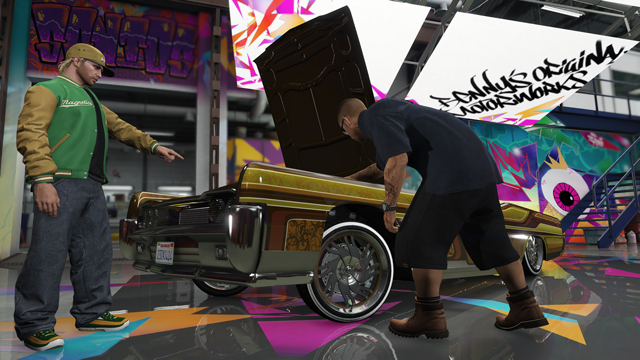 Next week will see the release of yet another FREE DLC for GTA Online, this one being all about lowriders, car customisation, and new vehicles and weapons. Compared to some previous DLC for the game, this one is packing a lot more content that has been widely requested by players, but it will be the first DLC unavailable to those still playing on PS3 or Xbox 360 consoles. Rockstar�previously�warned about this on the Newswire, explaining that "future content updates such as this are only possible on the newer and more powerful systems. As there isn�t enough memory available to add to the game on the older systems, we cannot make any more meaningful content updates without putting the entire game at risk." Read on below for full details of what's coming in this feature-filled DLC. With next week�s release of GTA Online: Lowriders for PS4, Xbox One and PC � lovers of cars and customization all across Los Santos and Blaine County will have a suite of brand new options and a new place to go get them. Introducing Benny�s Original Motor Works, a new customs shop in downtown Strawberry that offers a huge range of lowrider customizations that can turn your classic junker into a high-spec, tricked-out king of the streets. 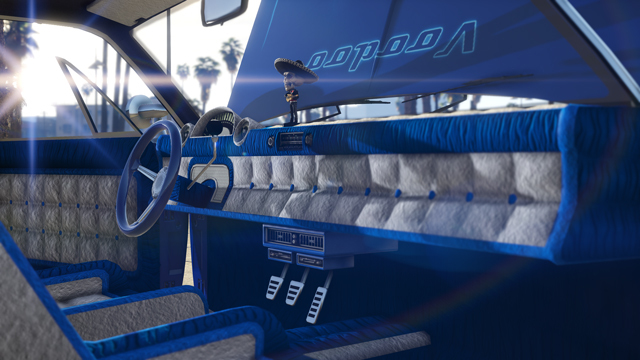 Visit Benny�s website via the shortcut on your in-game phone to choose from a half-dozen select customizable vehicles � then bring them down to the man himself for an upgrade that unlocks new custom lowrider mods. Deck out your engine block with covers and air filters, coat your interiors with velour, leather and patterns, choose custom colors and designs for your dials, or add a new steering wheel and custom shift levers. Give your ride lift with hydraulics - the more powerful the pumps, the higher you can bounce. And boost your stereo�s performance with new speakers and subs in the back. Then, meet up with friends and fellow car enthusiasts to show off your new rides � use the Player Interaction Menu while inside or outside the car to open up the vehicle doors, hood and trunk, switch on the engine to flash your neons and bump your favorite radio station for all to admire. Crew car shows are about to go next level. 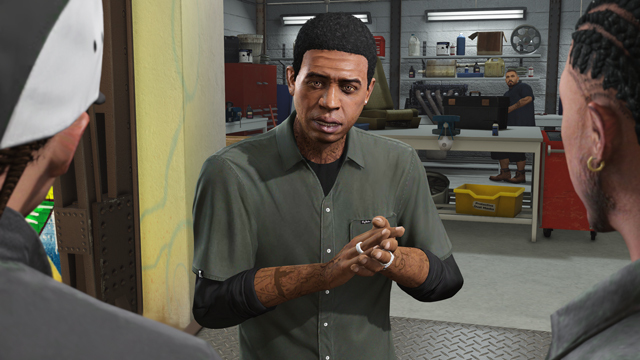 And keep an eye out for calls and texts from Lamar � he�s making moves of his own through a series of new missions and he�s going to need your help. You�ll want to hit up your trusted allies, wheelmen, and sharpshooters for backup too, as things are going to get hectic. Get stocked with the fully automatic Machine Pistol or Machete from Ammu-Nation. The upwardly mobile can also expand their garage space and fleet of vehicles with the addition of the oft-requested fourth purchasable property. 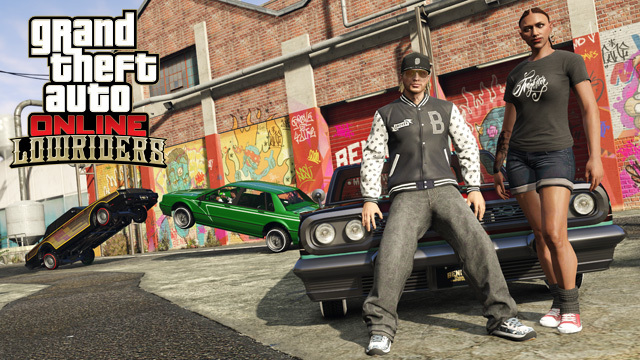 There�s also tons of new clothing, hair and accessory options as well as 3 new Adversary Modes and more. 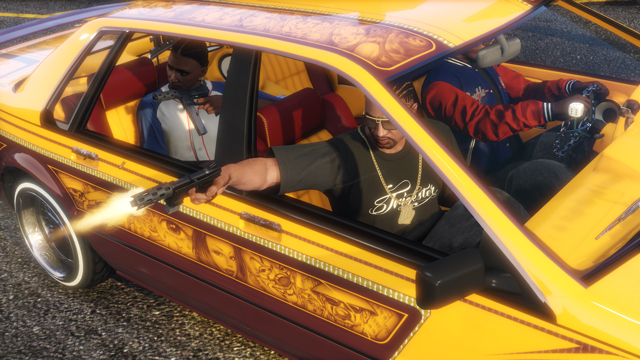 GTA Online: Lowriders arrives for PS4, Xbox One and PC as an automatic update on Tuesday, October 20th. See more screens from next week�s update below. 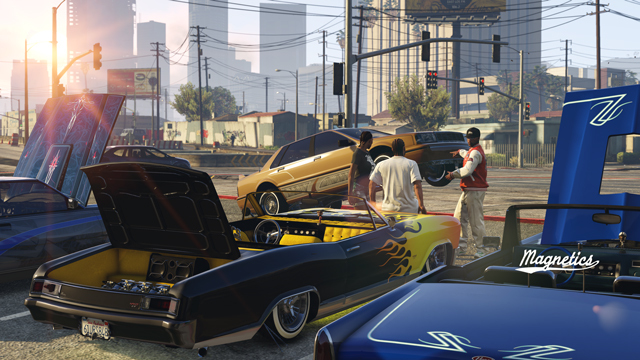 Benny�s garage in the Strawberry neighborhood of South Los Santos is the place to go for Lowrider customization. Taking on enemies in the stylish Albany Primo Custom. 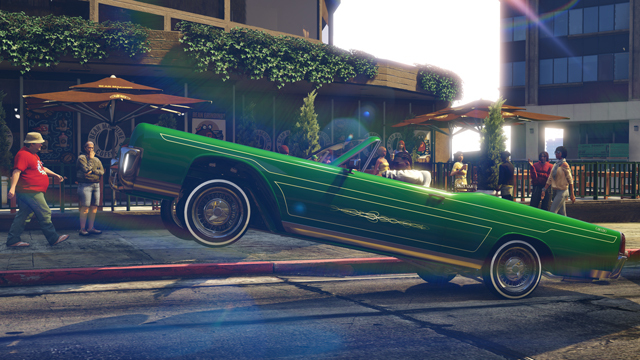 Give your Lowrider hydraulics and make it bounce all across Los Santos. Trick out everything from paint jobs to stereos and plaques.